This page was last updated April 24, 2003. Content copyright ©1995 to 2003 Kevin Davies. 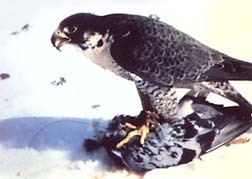 Peregrine photos copyright by their respective copyright holders.